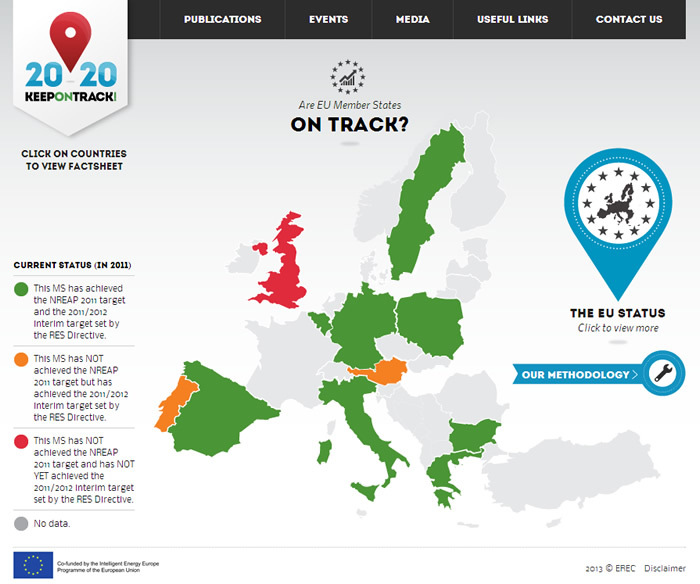 A new website has been launched called www.keepontrack.eu. The ‘Keep on track’ project is coordinated by the European Renewable Energy Council, and it monitors the progress made by EU member states in the implementation of renewable energy legislation to achieve the 2020 objectives in obtaining 20% of its final energy consumption from renewables. Sadly, Britain is showing as red, for NOT being on track to achieve our objectives, in comparison to most of our EU neighbours. Every individual reading this, including YOU, can contribute by investing in renewable energy now before it is too late. The most simple thing you can do TODAY is make the switch to a renewable electricity supplier. We recommend Good Energy because they are the only UK supplier that uses 100% renewable electricity. For many customers, including myself, their Good Energy bill costs the same as a non eco-friendly supplier. They are also currently offering £50 off your first bill when you quote ‘Dorset Energized’ to help you make the switch! Big six energy companies turn their backs on renewables – vote as a green consumer and switch to Good Energy! Recent developments – subsidies for nuclear, the dash for shale gas, lack of certainty for investors about government policy regarding renewables, and the absence of a communications campaign to drive low carbon living – all point to a lack of commitment to the green agenda and the undermining of the Climate Change Act 2008. Is the UK government allowing big business to drive policy? If you haven’t already become a Good Energy customer (the UK’s only 100% renewable electricity supplier) then join me and use your vote as a green consumer and switch now! 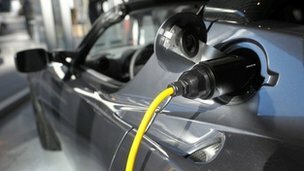 This really interesting article called ‘Can Germany afford its ‘energy bender’ shift to green power?’ by Matt McGrath, Environment correspondent for BBC News, gives a glimpse into what an expansion of micro / community renewable generation could look like if it was whole-heartedly supported by our government here in the UK. It also highlights some of the difficulties of the transition from big-business profit-focussed generation. I really like the idea of the ‘moral economy’! A legal challenge against a four-turbine wind farm near Wareham, on the edge of a Dorset area of outstanding natural beauty (AONB), was rejected by a High Court judge last week, following a nine-day public inquiry, as reported by Michael Donnelly in Planning Resource (www.planningresource.co.uk). According to Donnelly, as well as rejecting all complaints and upholding the planning permission, the judge also noted that the government’s National Planning Policy Framework generally favours renewable energy developments and requires local authorities to promote energy generation from renewable and low carbon sources. Excellent news for Dorset as we desperately need more on-shore wind turbines to help people realise that they aren’t as bad as the scaremongerers amongst us would like you to believe. It is also good news for all the people involved in investing in, and setting up and running wind turbines, so that provided a planning application ticks all the right boxes, it will be approved, even if it has to go to appeal. And lastly it is good news for everyone, as much much more of the energy we use needs to come from sustainable renewables rather than fossil fuels in order to protect our futures. For the full article go to: http://www.planningresource.co.uk/Development_Control/login/1186197. For more information on Wind Power check out our page here: www.letsgetenergized.co.uk/energy/wind-power. This is really great news! 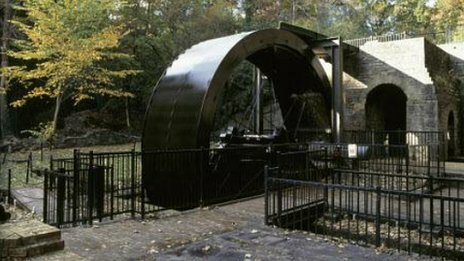 According to the BBC News today, the National Trust has revealed a plan to generate half of its power from renewable sources by 2020. A respected organisation demonstrating the kind of leadership that the urgency of climate change demands. And doubly super that it is an organisation people closely associate with conservation. They clearly realise that climate change presents an incredible threat to our natural and built heritage. For more information on your renewable energy options at home and here in Dorset visit: www.letsgetenergized.co.uk/energy. An interesting article has been published by Carbon Brief who report on the latest developments in climate science, and fact-checks stories about climate and energy online and in the press. They are funded by the European Climate Foundation, whose objective is to reduce emissions. Carbon Brief published the results of polling on energy and climate change issues, over the Easter bank holiday. According to their results, 69% of UK adults believe scientists and meteorologists are trustworthy sources of accurate information about climate science. Politicians fare rather worse, polling at just 7% – in joint last place with blogs and social media. The poll also reveals that 89% believe climate change is happening, though there appears to be a split over whether people think it’s caused by humans or not. Interestingly, this split was not echoed in whether people want to see action to tackle climate change, though. Nearly 70% said they want the government to act to avoid warming. Polling expert Leo Barasi writes that the results show ‘belief’ in climate change really doesn’t mean that much – people tend to trust climate scientists and want to see action on climate change, and doubts about whether climate change is happening aren’t rising. For more information and articles visit www.carbonbrief.org. WHILE Britain’s ‘radical’ energy thinking gets no further than ‘community buying schemes’, wrapped around the old ‘rigged’ market, Germany has been changing the nature of the market itself. German towns, cities and regions (of different sizes and persuasions) are now seeking to bring electricity distribution grids into social ownership. This runs from small districts right up to the current initiative in Berlin, where the City is seeking to buy its power distribution network back from the utility, Vattenfall. What the Germans have understood (and we have not) is that transforming the energy market has far more to do with power – democratic power – than with electricity. The Germans have opened the door on a different way of thinking about energy futures and energy security. In promoting a more open, competitive energy market, successive German governments have also become less afraid to take on the vested interests of their big power companies. This profound change in energy thinking is at the core of all the practical changes in German energy policy. Break the umbilical link between the power station and the light switch in your home, and it becomes easier to explore the different elements that will make up tomorrow’s energy systems; selling demand reduction rather than increased consumption, using smart technologies that deliver more but use less, and extending community ownership of energy generation and distribution networks. Since 1990, German citizens have had a legal right to be producers and suppliers of electricity to their grid system. Two-way meters are a given, not an experiment. German households expect to know how much energy they produce as well as how much they consume. While Britain still plods through a tortuous debate about ‘trials’ of two way meters, the Germans have been using them to transform energy politics. The right to generate became the power to transform. It also provided the platform for constructing a more open, democratic and sustainable energy market. Germany’s big step-change came in the early 2000s, when the government introduced a system of preferential Feed-in-Tariffs (FITs). These tariffs paid people more for the ‘clean’ energy they produced than the cost of energy they consumed from the grid. In all cases, FITs payment rates decline over time. Ultimately, each technology must ‘wash its own face’ economically; becoming market competitive or being displaced by something that is. On anyone’s terms, Germany’s renewable energy programme has been astonishing. Started under the Social Democratic Party/Green administration and continued by Angela Merkel’s Christian Democrats, this is not a bad decade’s work, even by German standards. But the most telling statistics are in the ownership pattern of the renewable energy investment. Over 50% of Germany’s renewable energy generation is owned by households, communities and farmers. Energy utilities own less than 13% of the new generating capacity. Energy transformation is still a war zone, even in Germany, and not mainly because of climate sceptics. As in the UK, old power empires refuse to die easily. A fierce battle is being waged by ‘old energy’ to sabotage today’s transformations. Britain may have led the last two energy revolutions – from wood to coal, and from coal to oil – but the same vested interests keep us locked at the margins of the current energy revolution. In Germany, energy companies tried to block policy changes by dragging the government through the European courts; saying that new policies were anti-competitive or market distorting. The energy companies lost. In the UK, ‘old energy’ opted (more successfully) for the colonisation of Whitehall. The outcome can be seen in the shambles of the Draft Energy Bill. 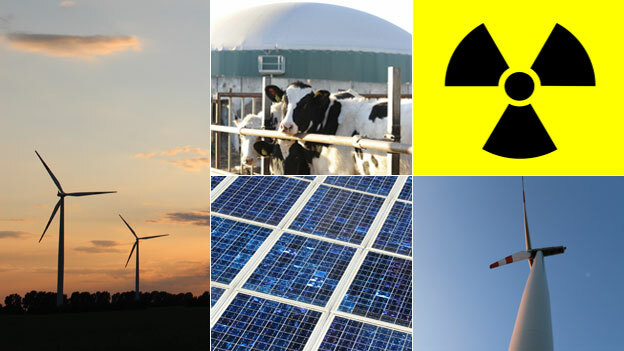 Its framework would leave Britain with an even more closed energy market, saddle customers with ever spiralling energy bills, introduce a new £5 billion a year nuclear subsidy, and ensure that successive governments could not meet current UK climate targets. It is an agenda for ‘dead-end’ Britain. As the Germans discovered, the way to become a leader in tomorrow’s energy revolution lies as much in the empowerment of citizens as in the shift into particular technologies. Germany simply put the interests of citizens before those of corporations. Within the last decade Germany has installed over 60GW of renewable energy capacity; the same as the UK’s current daily energy consumption. Last year alone they installed 7GW; more than the UK installed in over a decade. German power prices are lower today than they were five years ago and the country remains a net exporter of electricity. We are a million miles adrift. Britain may be at the bottom of today’s EU’s ‘renewable energy’ league, but this was where Germany started from too. They went from the bottom to the top in less than a decade. All it took was ‘vision’ and ‘leadership’. Germany is still at the beginning of its ‘Energiewende’ programme – their energy transformation plan. By 2020, Germany intends to generate 35% of its power needs from renewables and to reduce energy consumption by 20%. But the beauty of Energiewende is in its ability to weave the interests of industry, local communities and environmental groups, into a unified consensus for radical change. The result has been massive public involvement in German energy policy, along with a sense of social ownership of the transformation. In no small measure, this has been built on the ability of Feed-in-Tariffs to drive down power prices; something the UK Treasury seems intellectually incapable of grasping. Britain’s energy market reform debate has not managed to escape the dead hand of Treasury insistence that FITs have to be treated as (capped) public expenditure. The Germans refused to accept such nonsense. From the start, German FITs have been treated as independent elements in energy sector accounting. What then made the difference is Germany’s decision to give priority grid access for all renewables. German solar and wind energy are the first power sources fed in to the energy system. It leaves incumbent power providers to alter their energy mix and output to ensure a balance between power demand and supply. German utilities no longer control energy supply (and energy prices). Renewable energy drives down peak electricity demand and now supplies anything from 30% to 100% of German electricity needs. This has driven the fall in German power prices. It may have angered ‘big energy’ but this has been seized on by the country’s big industrial/ technology companies. Bosch, Infineon, Siemens, VW, BMW and others, have become the leading edge of the new energy revolution. Innovation and invention are at the core of the energy efficiency and ‘grid balancing’ mechanisms that tomorrow’s energy systems will revolve around. Germany has grasped (before most others) that the ‘iPad generation’ will see smart technologies driving huge increases in energy capacity, on the back of huge reductions in power consumption. It will also deliver innovative ways of storing electricity as well as using it. This will define a completely different landscape of energy thinking. The game is being taken away from the power companies, and the power companies hate it. So, how does Britain get into the game? It is hard to find common ground between what passes for an energy debate in the UK and the deliberations that have been taking place elsewhere. What the UK defines as unaffordable, Germany sees as pivotal. What we count as a cost, the German’s recalculate as a gain. Where the Coalition produces ‘reforms’ that would lock Britain into an (increasingly unaffordable) past, Germany presses towards a more sustainable future. deliver a surplus of 34 euro cents on every tonne of carbon saved. It would be easy to conclude that the trouble with ‘those bloody Germans’ is that they are just bloody good. But then, we could be too. In Germany, it began with a willingness to think beyond yesterday’s energy agenda and yesterday’s energy interests. Energiewende is based on a different understanding of tomorrow’s energy systems, their use and their ownership. This is where Britain must be too. A step-change is needed in Britain’s energy thinking. Learning some of the lessons from Germany would be helpful. But what we really need is a different vision for a new energy future. Alan Simpson was Labour MP for Nottingham South from 1992 – 2010. After advising Ministers on renewable energy policy, he left Parliament to concentrate on energy and environment policies. He and his family live in an eco-house they converted in the middle of Nottingham. He is a net supplier of electricity to the grid. "The UK can definitely learn from Germany when it comes to embracing renewable energy. The problem with the UK is that there are government incentives for those who use renewable energy but they aren’t widely known by the public. " You may have heard on the news about Green Deal – a new scheme for funding a wide range of energy efficiency and renewable energy measures in order to encourage take up of these measures across the UK. Alongside the Green Deal there is the Energy Company Obligation, (ECO), which will be providing grant funding where market-driven measures won’t easily work. The government launched the Green Deal in October 2012, and launched it again on Monday of this week as the finance for this scheme is now officially available. The Green Deal is a loan for one or many measures where the cost of the loan repayment is LESS THAN the amount of money saved on the energy bills, so not only is there no up front cost, there should be no ongoing costs. Furthermore, this loan is linked to the property not the person, so when someone sells their home, the new owner will take on the residue of the loan as they will also be receiving the benefits of the measures installed. The process for arranging a Green Deal loan is new, and doubtless there will be a few teething problems. It starts with arranging for a Green Deal Assessment, which is carried out by either a Greed Deal Assessor or by a chartered surveyor or by someone whose assessment is reviewed and signed off by a chartered surveyor. This assessment looks at the energy demand of the property, and at the heating system, and at how the property is used. All properties currently have an Energy Performance Certificate (EPC) which was produced by a Domestic Energy Assessor (DEA). A Green Deal Assessment is mostly the same but with some extra bits tagged on. To help provide customer confidence, Green Deal Assessors must be accredited. The report produced as a result of the assessment will identify a range of possible measures that could help improve the energy efficiency of the property and/or could provide renewable energy generation. The sum of money saved from implementing all of these measures over their individual lifetimes must work out less than the loan repayments for them to be eligible for the Green Deal loan. The customer can take the Green Deal Assessment Report and go to ANY Green Deal Provider in order to continue. It is a bit like taking your prescription from your optician to any store to buy frames/lenses. A Green Deal Provider will look at the Green Deal Assessment Report and discuss with the customer what their options are. The customer may not want to progress all of it or may also want extra bits done that wouldn’t be covered by the Green Deal. The Green Deal Provider will have access to a source of Green Deal funding, although approval is subject to a credit check. A Green Deal Plan for implementing one or a number of measures is then developed and agreed by both parties with a suitable cooling off period. ECO grant funding replaces the old CERT grants, and is supposed to be available now, but some of the details may still require clarification by Ofgem. Ofgem has provided each of the big energy suppliers with targets to reach for funding energy efficiency projects for vulnerable people, and for people in particular areas, and for people with particularly hard to treat homes. The funding can be applied for directly to the supplier, through a broker, or for Green Deal Providers, through a new online auctioning system. 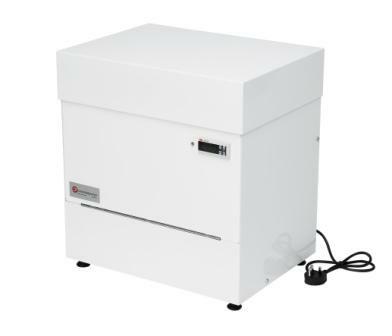 This provides insulation measures to households in specified areas of low income. It also makes sure that 15% of each supplier’s obligation is used to upgrade more hard-to-reach low-income households in rural areas. This covers the installation of measures like solid wall and hard-to-treat cavity wall insulation, which ordinarily can’t be financed solely through the Green Deal. Here’s some warming news for Winter! RenewableUK, the trade and professional body representing the wind, wave and tidal energy industries, has welcomed a report last week by the Committee on Climate Change which shows that generating energy from renewable sources will keep British household fuel bills lower than relying on expensive fossil fuels such as gas. The CCC’s report highlights the fact that increases in gas prices drove household bills up by 62% between 2004 and 2011. In comparison, support for the entire spectrum of low-carbon technologies, including renewables, led to an increase of less than 10% over the same period. 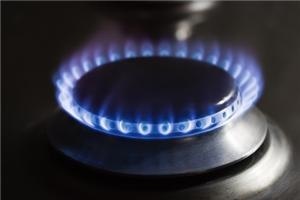 Looking ahead, the Committee warns of the risks of focussing investment on unabated gas-fired generation, which it says could push household bills £600 higher in 2050 compared to relying on low-carbon sources of electricity. The Committee also states that support for the entire range of low-carbon technologies will increase domestic bills by around £100 by 2020 (a 10% increase on the 2011 bill) – far lower than figures quoted in some media reports. The report came on the day that the Energy Secretary, Edward Davey, announced that shale gas would not contribute to the UK’s energy mix for some time to come, and that what he described as the “seismic risks” brought by shale would be subject to new controls. Mr Davey said: “We are still in the very early stages of shale gas exploration in the UK and it is likely to develop slowly. It is essential that its development should not come at the expense of local communities or the environment”. The BCC have reported that Navitus Bay Development Ltd has announced a “significant reduction” to its proposed wind park in Poole Bay, between Dorset and the Isle of Wight. In my opinion, it is a sad day for our civilisation when the short-sighted and subjective conservative desires of the few outweigh the needs of the many. How many of those vociferous few who have forced the plans for Navitus Bay to be scaled down have been taking action to reduce their energy demand so that we can do without these additional renewable resources? "I agree the reduction in size is disappointing but at least there is still a project to be had; and hopefully the voices from the community will feel that they have been listened to and raise no further objections. " The BBC reported last week that a study from the Norwegian University of Science and Technology study found that greenhouse gas emissions rose dramatically if coal is used to produce the electricity. For me this is not really news – anything we do using electricity is bad news if that electricity was generated using fossil fuels. I think this just emphasises the need for a rapid transition away from fossils fuels in electricity production. Maybe as local authorities and others start rolling out electric vehicle charging points, renewable generation can be co-located ? One key message which is currently underplayed is that to achieve this switch away from fossil fuels in anything like an appropriate timeframe, not only do we need to increase investment in renewables but we also need to focus on reducing our energy demand. See http://www.bbc.co.uk/news/business-19830232 for details of the article. "The benefit of electric cars is that it will reduce pollution in towns and cities. However if the electricity to recharge them is the increased use of coal fired power stations then all we are doing is moving the problem. Which then leads me to ask the question how green are they? " "As David Mackay states in his book ‘Sustainable Energy – without the hot air': Using grid electricity for electric cars produces emissions equivalent to fossil fuel cars. So, why not change? Its no worse for the environment and the greater strain on our grid will be a catalyst for investment in renewable energy. Then, renewables will be seen as ‘heroes’ for saving the car and the world will quickly embrace them – or maybe im getting carried away! " There has already been a lot of praise for the achievements of the London Olympics in the field of sustainability, as well as for the amazing sportspeople taking part. A great deal of emphasis has been placed on these games being the greenest ever. In the early planning stages in 2005, the organisers involved the Worldwide Fund for Nature (WWF) and BioRegional in determining the sustainability benchmark, defined in a report called Towards a One Planet Olympics. This has recently reviewed (see http://www.bioregional.com/files/publications/towards-a-one-planet-olympics-revisited.pdf) and on the whole a lot of good progress has been made. Whilst praising the Games green credentials, this report warned that organisers were likely to miss a target to deliver 20 per cent of its energy from renewable sources. However, this disaster has now been averted as the Olympic Park now sports 7 vertical axis turbines, provided by British manufacture Quiet Revolution. They are each 18-metres tall with 8kW of capacity and can provide up to 7,500 kWh of power a year if average wind speeds reach seven metres per second. The UN has also praised London’s Olympic achievements. Achim Steiner, executive director of the UN Environment Programme (UNEP), says the eco achievements of the London 2012 Games should act as an inspiration for following organisers: “London’s clean-up of an old industrial site; the restoration of flows and habitat on the River Lea; the greening of supply chains; the low energy linked with the design and construction of the stadium, including utilizing old gas pipes for the facility’s Olympic ring; and the use of temporary structures to reduce emissions are among the actions that can assist in inspiring the organizers of the Rio 2016 games and beyond” . Meanwhile, some questions have been asked of the sustainability of some of the sponsors – notably EDF and BP, especially as The Commission for a Sustainable London 2012 (CSL), which oversees the provision of sustainability for London 2012, yet was not involved in selecting these partners. When EDF failed to deliver their low carbon torch, CSL made a point of embarrassing them in their latest report, ‘In sight of the finishing line.’ The report notes: “The promise of a low-carbon torch was made in 2007 so the excuse of “we ran out of time” is not acceptable”. The big skeleton in the Olympic’s closet, however, is clothing. According to Kathy Marks, in the Independent on 14/4/2012, “Olympic-branded gear – to be worn by British athletes and Games volunteers – is being manufactured for Adidas in sweatshop conditions in Indonesia, making a mockery of claims by London 2012 organisers that this summer’s Games will be the most ethical ever”. She goes on to say that “the German company – which unveiled its Stella McCartney-designed kit for British athletes last month – hopes to make £100m from its Olympic lines, the mainly young, female factory employees work up to 65 hours (25 hours more than the standard working week), for desperately low pay. They also endure verbal and physical abuse, they allege, are forced to work overtime, and are punished for not reaching production targets. None of the nine factories pays its employees a living wage – about 20 per cent higher than the official minimum wage – one of the cornerstones of the Ethical Trading Initiative (ETI) base code, an internationally recognised labour code adopted by the Olympics organising committee, Locog. Workers struggle to survive on pay as low as 5,000 rupiah (34p) an hour.”. 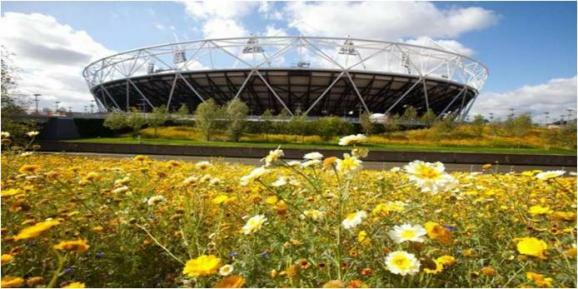 Please let us know what you think of the Olympic’s green credentials – they may well be the greenest ever so far, but are they any where near green enough? "Our wonderful Olympians are amazing Ambassador’s for sporting achievement of course but is anyone of them ready to be an Ambassador for Renewable Energy ? ?